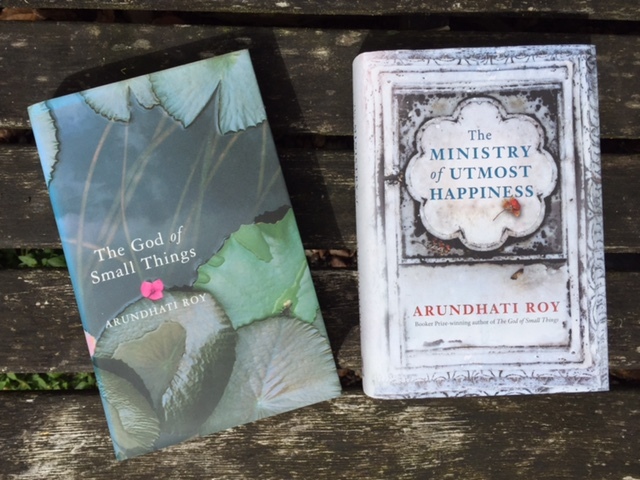 Although 20 years ago, I clearly remember discovering Arundhati Roy’s ‘The God of Small Things’ whilst browsing in Waterstones in Covent Garden. 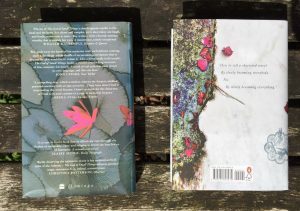 I knew nothing about it, or that it would go on to win the Booker Prize, what drew me to it was the matt laminated dust jacket with its exquisite photography and typography. It was a relief when I began to turn the pages that the story was also one of the most beautiful and magical I had ever read. I treasured the book so greatly I would lend it to no-one, not even my husband for whom I bought a second copy when it came out in paperback! The Ministry of Utmost Happiness therefore has a lot to live up to, especially given the 20 year wait. Here’s hoping this one won’t disappoint either. The Ministry of Utmost Happiness takes us on a journey of many years-the story spooling outwards from the cramped neighbourhoods of Old Delhi into the burgeoning new metropolis and beyond, to the Valley of Kashmir and the forests of Central India, where war is peace and peace is war, and where, from time to time, ‘normalcy’ is declared. Anjum, who used to be Aftab, unrolls a threadbare carpet in a city graveyard that she calls home. A baby appears quite suddenly on a pavement, a little after midnight, in a crib of litter. The enigmatic S. Tilottama is as much of a presence as she is an absence in the lives of the three men who loved her. The Ministry of Utmost Happiness is at once an aching love story and a decisive remonstration. It is told in a whisper, in a shout, through tears and sometimes with a laugh. Its heroes are people who have been broken by the world they live in and then rescued, mended by love-and by hope. For this reason, they are as steely as they are fragile, and they never surrender. This ravishing, magnificent book reinvents what a novel can do and can be. And it demonstrates on every page the miracle of Arundhati Roy’s storytelling gifts.